Right-handed people are more logical, and left-handed people are more creative. Right? Maybe not. According to a study published last week in the academic journal eLife, which hand a person prefers has nothing to do with that person’s brain. A group of German and South African researchers studied fetuses and determined that right- or left-handedness develops in the womb. They found that hand preference develops before the brain’s motor cortex connects to the spine. Since the spine is the conduit by which the motor cortex in the brain sends commands to a person’s limbs, it wouldn’t make sense for the brain to be controlling thumb-sucking behavior before the two parts are connected. The researchers further concluded that handedness is probably influenced by the asymmetrical expression of genes in the spine. Editor’s note: To celebrate International Left-Hander’s Day, Inverse is republishing this article debunking the stereotypes linked to handedness. Left-handed readers: You can be whatever you want to be! This article was originally published on February 25, 2017. The researchers write that multiple studies have shown a fetus’s preference for one hand over the other developing as early as 13 weeks after conception. 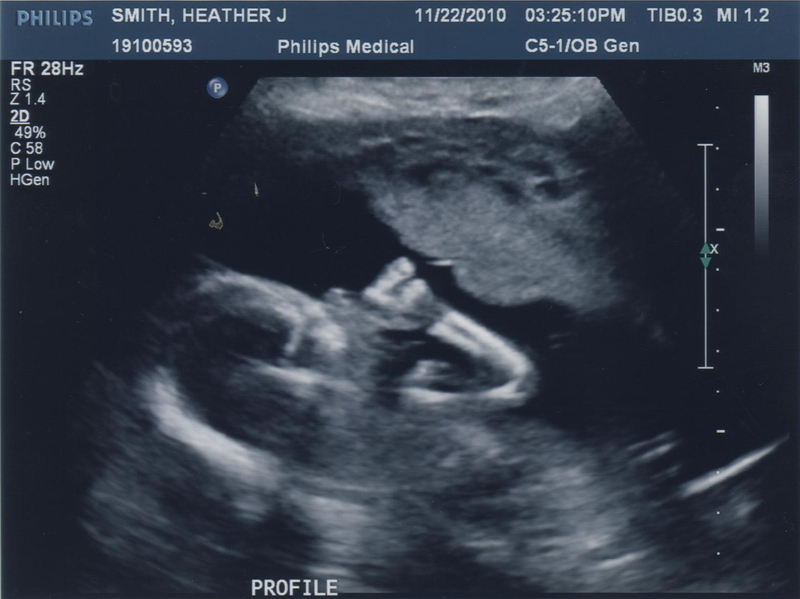 They can tell this by comparing ultrasounds in which fetuses are observed sucking their thumbs, then following up to find out which hand they prefer after birth. They write that there is a strong positive correlation between fetal thumb-sucking and handedness. This 19-week-old fetus can clearly be seen sucking its thumb. Researchers say fetal thumb sucking starts as early as 13 weeks post-conception, displaying hand preference. “Importantly, the motor cortex is not yet functionally linked to the spinal cord at [13 weeks] of development as the outgrowth of corticospinal projections does not enter the anterior spinal cord before 15 weeks,” write the researchers. Since fetuses show a hand preference before their brains are controlling their bodies, this means that hand preference most likely doesn’t derive from the brain. So what causes someone to prefer their left hand over their right, or vice versa? The researchers say the reason is epigenetics. Epigenetics refers to how organisms are affected by changes in their genes’ expressions, rather than by changes in the genes themselves. They found that the cells in the left and right halves of the spinal cord show a significant asymmetry in gene expression during fetal development. This strengthens their argument that the spinal cord, not the brain, determines whether we’re left- or right-handed. “It is likely that spinal rather than cortical gene expression asymmetries represent the molecular basis of handedness,” the researchers write. It’s worth noting that scientists have questioned whether epigenetics play as big of a role as some have credited them with. Nonetheless, the finding that fetal thumb-sucking preferences arise before the brain connects to the spine suggests that the researchers are on the right track when they say the brain doesn’t determine right- or left-handedness.